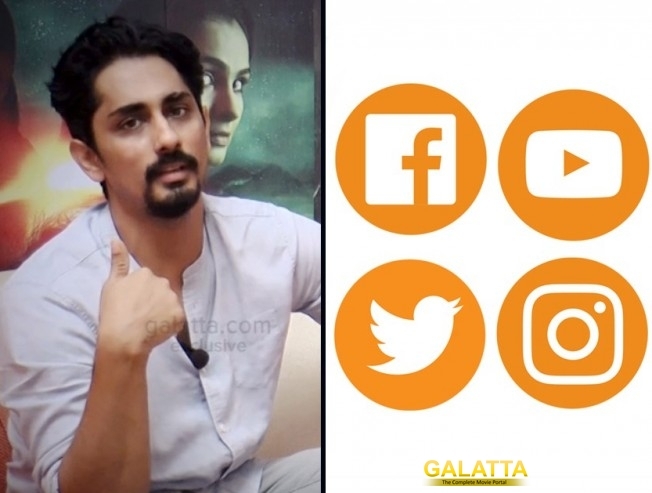 Actor Siddharth is very confident about his latest horror flick Aval starring him and Andrea. An actor who has been very open about his views has shared a genuine concern pertaining to the limits of social media. He quotes an incident when he was at airport to attend a funeral, for which he had even missed his shooting. A lady who had followed him for more than an hour lost her cool that he refused to pose for a selfie. He says she was not convinced even after he explained the reason and he was already emotionally low. He recalls the sniding remark she made before she left, in an exclusive interview for Galatta. The actor feels this will stop only when we draw lines of social intrusion into personal life and banning people from Social media who don't even reveal their identity will make a huge difference.